Let’s eat with the best page for Maggiano’s menu prices. Maggiano’s Little Italy is a casual dining restaurant chain specializing in Italian-American cuisine. Since the beginning, Maggiano’s has focused on serving large portions of great tasting Italian classics plus introducing new American inspired dishes. Maggiano’s Little Italy menu includes a combination of contemporary and classic dishes from pasta, seafood, steaks to chef specialties, salads, and desserts. Below are the latest Maggiano’s menu prices. Served with Crispy Vesuvius Potatoes and Homemade Pickles. Served daily until 3 P.M.
Reservations are highly recommended at Maggiano’s Little Italy especially during Holidays or special occasions. Guests can call the location for reservations or make reservations online via Maggiano’s official website. The bar & lounge area is the ideal spot to meet friends and co-workers for some downtime. Guests can indulge in select food items, handcrafted cocktails, beer, and wine. Typical Happy Hours are from 3:00 pm-6: 00 pm. There is always something new going on at Maggiano’s. Be the first to get the latest news, menu changes, and events by joining the e-club. Signing up is simple plus Maggiano’s will reward you by giving you $10 off your next visit. There is no better way to celebrate Sunday night dinner than at Maggiano’s. Go ahead, be bold. Buy a couple of gift cards and give them to family and friends. Don’t forget to invite yourself. We’re all family, right? Guests can purchase traditional plastic gift cards online and have them sent to the recipient or cards can be purchased at any Maggiano’s location. For those procrastinators, e-gift cards can be purchased online and delivered to the recipient instantaneously. Looking to convince your family that you can cook? Head over to Maggiano’s and order up Italian favorites from the carryout menu. Be sure to hide the carryout containers before anybody sees them. Don’t worry, we won’t judge. Face it. We can’t all be great cooks like Nonna. Maggiano’s catering service is a great way to serve authentic Southern Italian style food. Maggiano’s catering service includes party-sized pans of menu favorites. No need to worry about delivery. Maggiano’s will take care of that plus include plates, utensils, napkins and table covers. Contact any Maggiano’s location to learn more. Maggiano’s private rooms are great venues for social, national, corporate or wedding events. Local banquet managers are sure to create an event management experience that guests will not forget. For more details, contact the Banquet Manager at your nearest Maggiano’s Little Italy location. Maggiano’s Little Italy is always looking to add passionate family members to join the group. Interested candidates must possess a desire to make Maggiano’s the best Italian restaurant chain. Attention to detail and a hardworking attitude are keys to success. Candidates that want to apply can visit the official Maggiono’s website to learn about the company, the culture and the current list of openings. Chicago-based restaurant group Lettuce Entertain You Enterprises partner Rich Melman opened the first Maggiano’s Little Italy location in 1991 in Chicago. The concept was well received and within 3 years, 2 additional locations opened in Illinois. In 1994, a Maggiano’s Little Italy location was opened in Virginia. In 1995, the Maggiano’s Little Italy concept was purchased by Brinker International, a multinational hospitality company. 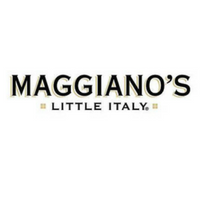 Today, with over 50 locations, Maggiano’s Little Italy is a wholly owned subsidiary of Brinker International and headquartered in Dallas, Texas. Fans of Maggiano’s can follow the restaurant chain through various social media platforms. For more information about Maggiano’s, visit their official website. There was a $10.00 coupon offer for signing up for e-mails from Maggiano’s. I could not find how to print this coupon. Please give instructions. Thank you. Reading this information So i am glad to exhibit that I’ve a very excellent uncanny feeling I came upon just what I needed. what is this family meal . how many people can dine on a family meal. Does it include appetizer?